ASCO’s delegation to the American Medical Association (AMA) House of Delegates (HOD) gathered in Chicago last week and it was a very busy few days. The delegation of Drs. Tom Marsland, Ray Page, Kristina Novick, Steve Lee, Morgana Freeman, and Erin Schwab, and I were all busy promoting ASCO-driven as well as pertinent medical oncology policy. Resolutions discussed by ASCO and subsequently passed in the HOD included a resolve to gather more information on the Pharmacy Benefit Manager (PBM) and the potential effects of the PBM on the physician-patient relationship. A late resolution focused on the 340 B Drug Discount Program was proposed and defended by the delegation. This proposition would support changes to the program that make the program more transparent and eligible to community practices. A resolution to the interpharmacy transfer of opioid prescriptions was also presented. This resolution requests that the AMA promote policies enabling easier transfer of electronic opioid prescriptions. Resolutions that were “reaffirmed” (or included in existing AMA policy) addressed improved billing for survivorship care plans and finally a resolution reaffirming the need to recognize alcohol as a modifiable risk for cancer and the need to support the counseling of patients in regards to this risk. Those ASCO-driven resolutions alone represented a very active ASCO docket, but so much more took place. The ASCO delegation voiced opinions on several other resolutions or reports. For instance, we opposed Medicaid waivers that interfere with coverage to beneficiaries who do not complete eligibility requirements in a timely fashion. Biosimilars were discussed. We advocated for a resolution that supports the formation of a rigorous pathway for biosimilar approval. Topics were broad, and at times provoked passionate testimony. These included a debate on the AMA stance concerning physician aid in dying as well as gun violence. The intensity of daily testimony, negotiating, and gaining political support was energized further by watching our good friend Dr. Barbara McAneny sworn in as the next AMA president. It should be noted that the president of the AMA rarely comes from (or mainly sponsored by) a specialty organization such as ASCO. Invariably those that attain this high office are state or regionally sponsored. 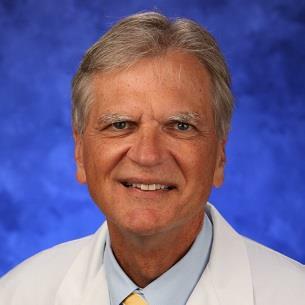 This highlights not only Dr. McAneny’s recognized leadership and talent, but also highlights the broad impact that medical oncology and the experiences we encounter as a profession exemplify the concerns within the medical community. In addition, we all proudly helped and campaigned for members of our cancer caucus. Esteemed colleagues such as Drs. Sheila Rege and Amar Kelkar won their respective elections. These amazing doctors will represent our profession and the entire medical community extremely well. It was a demanding schedule and a sincere thanks needs to go to so many. The ASCO staff members who support the delegation, Ms. Amanda Schwartz, Ms. Jennifer Brunelle, Ms. Allison Rollins, and Ms. Lawren Geer, are all clearly amazing. The ideas, devotion, and drive of the entire delegation are second to none. It was a busy time, and it is always a worthwhile time.